← Illuminati Card Game Predicted Vegas Massacre: Did Jason Aldean Have Foreknowledge? 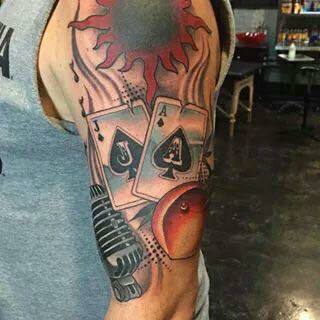 MUST VIEW Video: Jason Aldean’s Tattoo Matches Illuminati Game Card! From the very first moment of reading about and viewing the media material regarding the Las Vegas mass shooting, the entire SOTN staff was really struck by a specific occurrence. 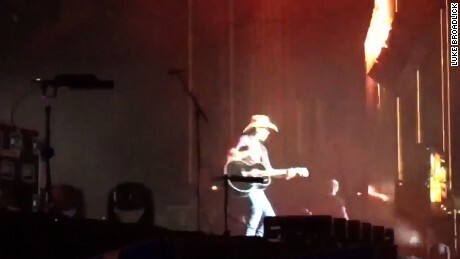 We watched many videos of American country music singer Jason Aldean singing his last song — and then quickly and mysteriously disappearing from the stage when the shooting began. Who has not seen this video by now? Jason did not say a word. Jason did not utter a single warning. Jason ran off stage never to be heard from again. Here’s his Wikipedia page which corroborates that “Aldean ran off the stage and was unharmed”. Who is Jason Aldean? And what was his role in this false flag psyop? The following article by “50 Shades of Pissed Off” may be short, but it’s loaded with radioactive data and eye-opening info. It’s truly a “Must Read” if one is to correctly understand how these back ops are really run from the inside out. 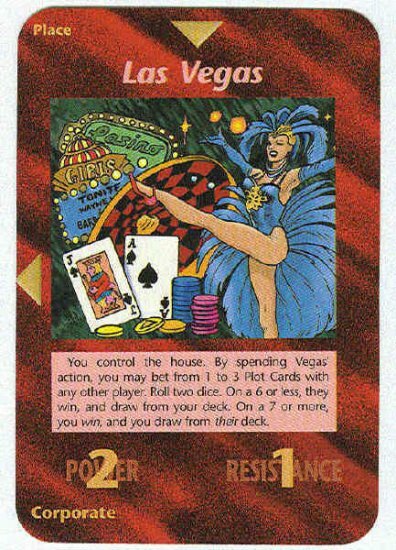 Illuminati Card Game Predicted Vegas Massacre: Did Jason Aldean Have Foreknowledge? With the understanding provided by the mind-blowing content at the preceding link, a couple of obvious conclusions might be drawn. First, that Jason Aldean was in some way used in this [ONGOING] psyop and false flag mass shooting. Second, that it seems quite unlikely that Jason Aldean is unaware of his participation in this CIA-conducted black operation in Las Vegas. It’s now common knowledge that virtually the entire corporate Music Industry is completely controlled by the Central Intelligence Agency. That’s right, the historical record is replete with authoritative documentation proving how the C.I.A., working in concert with the Department of Defense in Southern California, totally infiltrated the Laurel Canyon music culture and celebrity society way back when. Mike Wilson’s famous breakdown during the peak of The Beach Boys’ popularity is often associated with the CIA’s mind-control influence which dominated even in the earliest days of the rock ‘n’ roll revolution. This is precisely why the C.I.A. has made it such a major mission to control every single famous musician in America. Which is exactly why there have been virtually no protests of all the odious and unlawful wars since the USA abandoned the battlefields of Southeast Asia in 1975. Yes, courageous Cindy Sheehan protested vigorously against the Second Iraq War…practically alone. And, yes, Code Pink is quite admirably out there doing their thing when war is raging. But where is everyone else? AWOL! OUT TO LUNCH! NOBODY HOME! Which brings us back to Jason Aldean. It really appears that Jason was acting on impulse (and orders) when he left the stage without a peep. He did not even try to warn the thousands of fans who came to hear him sing. Jason obviously knew that something was very, VERY wrong; so why didn’t he at least put out an SOS with his live mic? Well, the folks in front of the Mandalay Bay certainly “didn’t know” what was happening on the evening of October 1. Most people still don’t know what really happened on that fateful evening. Does JA know something we don’t know? See the logo for the Jason Aldean Army Fan Club above right. There’s another recent example of what happened to a really famous musician when they repeatedly left the reservation. There was perhaps no one more politically incorrect and musically powerful (at the same time) as American singer-songwriter, multi-instrumentalist, and record producer PRINCE. … the New World Order Depopulation by the Illuminati! In the case of Prince, we see a common pattern of his physicians illegally prescribing dangerous pharmaceutical drugs, which basically killed him. This slow-motion crime was committed by purposeful design by those who knew that Prince could NOT be controlled and, therefore, was quite dangerous to the NWO agenda administered by the Global Control Matrix. As for Jason Aldean and his many C&W peers, everything points to the likelihood that he is in the very same predicament as every other celebrity. They do what they’re told to do … … … if they want to have a successful career. If they don’t, their contracts are not renewed. Or, they are quickly ushered into the well-known California drug rehabs. Or, their family members are suddenly suicided with 3 bullets to the back of the head. KEY POINT: It didn’t take long for C&W singer Caleb Keeter, a guitarist for the Josh Abbott Band, to declare after the Vegas shooting: We need gun control RIGHT. NOW. As if right on cue, others throughout the C&W community also expressed their unprecedented sentiments for some form of gun control. They never stopped to think that mass shootings like this are exactly why people need guns to protect themselves, because the police are conveniently NEVER at the scene of any of these false flag attacks. If these musicians knew that the Vegas massacre was a government-coordinated black operation perpetrated on the We the People to strip us of our 2nd Amendment, would they have reacted like liberal snowflakes? Or, are they simply co-opted by their agents to change their tune, as asserted in this exposé? Many of the most famous singers (and exalted actors and idolized pro athletes) are also highly mind-controlled zombies who have no conscience. They have been conditioned through protracted drug use administered by the notorious Project MKUltra — the CIA’s ongoing mind-control program — to conduct themselves as they are directed to by their handlers. Truly, many of these poor souls are slaves … and they are not even aware of their lifelong slavery. Only the Higher Power can free them from their servitude to the Illuminati. Nonetheless, We the People are now well aware of this integral component of the Global Control Matrix that cynically utilizes the rich and famous to unduly influence all of US. Many of us now comprehend the true depth and breadth of the “Celebrity Culture” and how it has been used to literally destroy American society. Who among us has not seen and experienced the very fabric of society irreparably torn in just the past few years? Now that the light of awareness is shining on the extremely deceptive celebrity culture, it can be taken down for good. Let’s get busy ! ! ! There was another extremely famous singer who decided not to go with the flow back in 1966. Even though his bandmate — John Lennon — was much more known to be the fierce, countercultural iconoclast of BEATLES fame, so was Paul. The following link provides the secret back story. How did Paul McCartney really die in November of 1966?